Anyone who’s ever gone away to school or moved across the country knows the feeling of homesickness, whether it’s the slight, fleeting feeling of nostalgia for the familiar environs of your childhood or the bone-deep longing for the place you once called home. For Dorothy Roberts, I sort of think it was the latter. 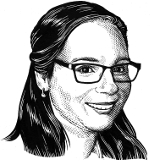 Dorothy Roberts was born in New Brunswick, and though she spent much of her life living in the United States, she never forgot the beauty and sense of belonging that she felt in her native land. 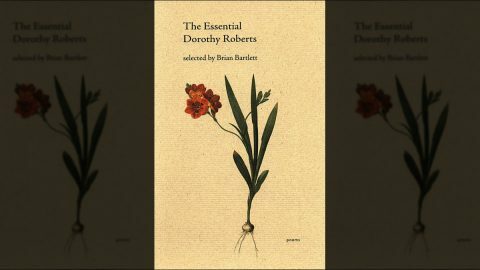 In The Essential Dorothy Roberts, selected by Brian Bartlett, her poetry is unsurprisingly rife with her impressions of the landscape she called home, but most interesting for me is the way in which themes of memory and the passage of time blend together with this preoccupation with the natural world to create a feeling of great fondness and nostalgia. To me it is a very Canadian concern, and it reveals the deep roots we Canadians feel even when we venture abroad. I find Roberts’ poetry to be of the quietly powerful sort. Her concerns are not overly lofty. You don’t need to keep a dictionary next to you to get the full meaning of her work. Reading this book was a very introspective experience for me, and I hope that you’ll find the same. Read on for an excerpt that will be sure to pique your interest! Of water break us from our sunny grace. Us bursting up to the air. See, wavering, each a shape that never clears. heavy, they say, though you can’t tell with the glass on. it is almost as though the fingers had slipped. she lets down over the fields heavily frosted. a bit sophisticated and lost for the gaze of children. a waiting wealth of moon for a cold night. So, what do you think? Adding it to your to-read list yet? If so, you can get your copy here. And don’t forget—if you like this book, consider checking out the rest of the Essential Poets series to add to your collection! This entry was posted in Letters from the Porcupette (the Intern's Blog) and tagged Brian Bartlett, Dorothy Roberts, essential poets, Essential Poets Series, New Brunswick poets, The Essential Dorothy Roberts. Bookmark the permalink.